Chronic inflammation after a heart attack can promote heart failure and death. University of Alabama at Birmingham researchers have now shown that activated T-cells — part of the immune system's inflammatory response — are both necessary and sufficient to produce such heart failure. A discovery about how the body deals with the cholesterol contained within its dying cells has suggested an exciting new approach to control people's cholesterol levels - and thus their risk of developing heart disease. When it comes to using marijuana, new research, involving mice and published in the October 2014 issue of the Journal of Leukocyte Biology, suggests that just because you can do it, doesn't mean that you should. That's because a team of Italian scientists have found that using marijuana in adolescence may do serious long-term damage to the immune system. Persons with reduced levels of the TREM2 protein could be at greater risk of developing neurodegenerative diseases such as Alzheimer's disease or frontotemporal dementia, according to an international study which included the participation of the Universitat Autònoma de Barcelona and the Sant Pau Biomedical Research Institute. The outbreak of dengue fever that infected some 20 people in Florida's Martin County late last year unnerved many who feared the tropical disease had once again established a foothold in Florida. The last outbreaks occurred in 2009 and 2010 in Key West—before that, the disease hadn't struck Florida in more than 70 years. The development of a probe to measure the body's immune function could lead to more accurate, individualized doses for cancer patients prescribed nanoparticle-based drugs, according to research conducted at the University of North Carolina. It's time to expand the models for blood pressure regulation, according to clinical pharmacologist Jens Titze, M.D. Titze and his colleagues have identified a new cast of cells and molecules that function in the skin to control sodium balance and blood pressure. Laquinimod is an orally available synthetic compound that has been successfully evaluated in phase II/III clinical studies for the treatment of relapsing-remitting multiple sclerosis (RRMS). The healthy human body is extremely efficient at cleaning house. Every day, we purge 100 to 200 billion dead or dying cells – a process called cell clearance, which is fundamental in our ability to maintain a healthy physiological balance and prevent a number of chronic diseases. Professional cleaning cells, called phagocytes, are responsible for ridding the body of dead, or ‘apoptotic,’ cells. In diseases such as multiple sclerosis, cells of the immune system infiltrate the brain tissue, where they cause immense damage. 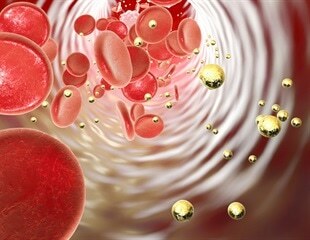 For many years, it was an enigma as to how these cells can escape from the bloodstream. This is no trivial feat, given that specialized blood vessels act as a barrier between the nervous system and the bloodstream. Researchers announced this week the discovery of a mechanism by which Mycobacterium avium - a bacterium which can result in serious lung infections and is prevalent in emphysema and AIDS patients among others - infects tissue cells or macrophages and thus compromises the body's immunity.